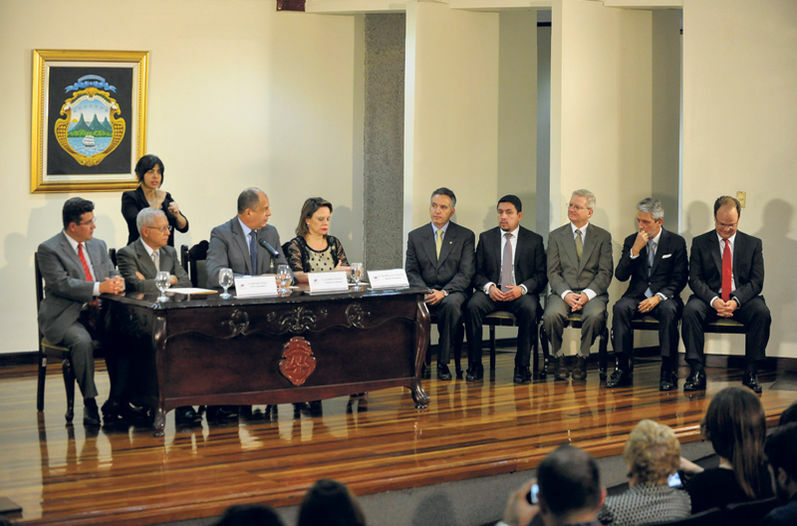 QCOSTARICA – “Ministers who do not meet the expectations will be gone on 1 May,” were the words of President Luis Guillermo Solis on November 24, 2014, his death sentence to ministers of his cabinet who did not perform in controlling spending, promising an efficient and effective administration of public funds. On March 27, Solis amended Article 7 of the guideline (Directriz N.° 17-P – 25 de noviembre del 2014) which read: “the unjustified breach of this directive will lead to the removal of the incumbent”. On the social media many have taking to calling Solis a liar. Some even questioning their decision to have voted for him, a decision that led Solis to be elected with the highest number of votes ever in second round voting in the 2014 elections, after sliding by with a slight margin in the first round. (A presidential candidate has to obtain at 40% of the vote to be declared a winner). In the political arena, Mario Redondo, legislator of the Alianza Democrata Cristiana, who questions the lack of choerence in President Solis’ speech. “He announced with great fanfare what he would dismiss ministers to guarantee a correct execution (of the budget) and now we realize it was all hot hair (tomada de pelo in Spanish),” said Redondo.